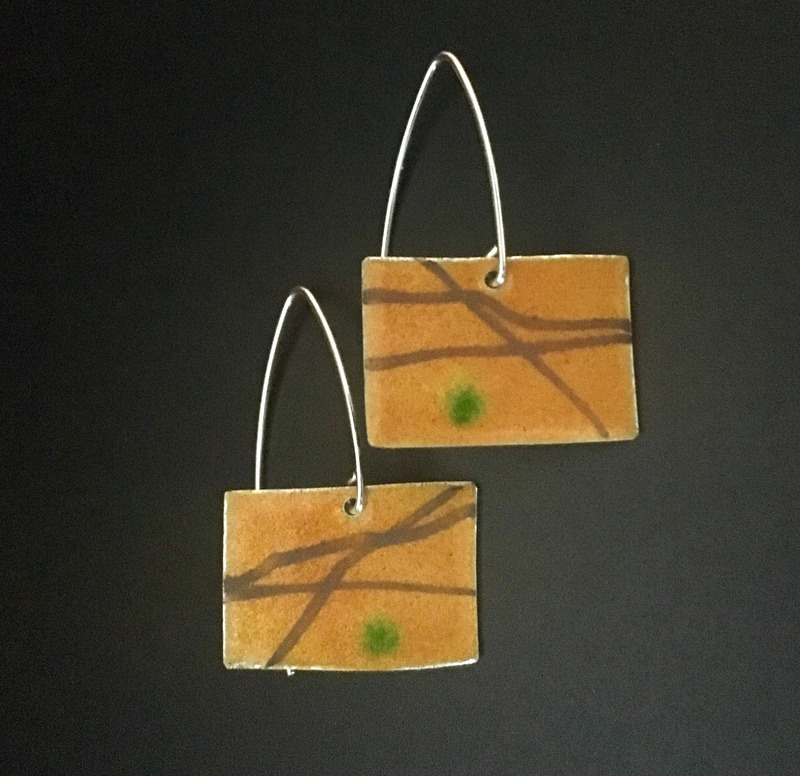 Vibrant and fun EnamelArt drop earrings feature transparent golden-orange vitreous enamel on Sterling Silver, with subtle green and black accents. Suspended from an elongated Sterling Silver earwire, these earrings measure approximately 7/8 X 9/16” and drop approx. 1 3/8” from top of earwire.